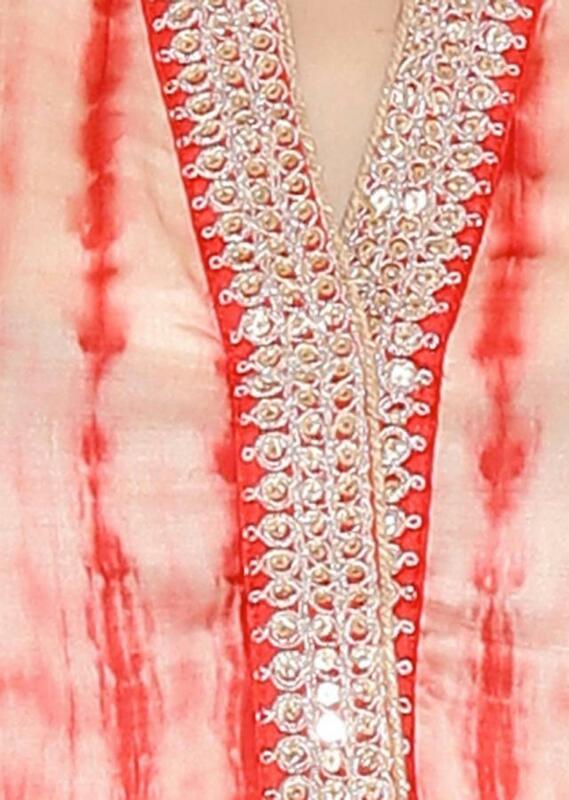 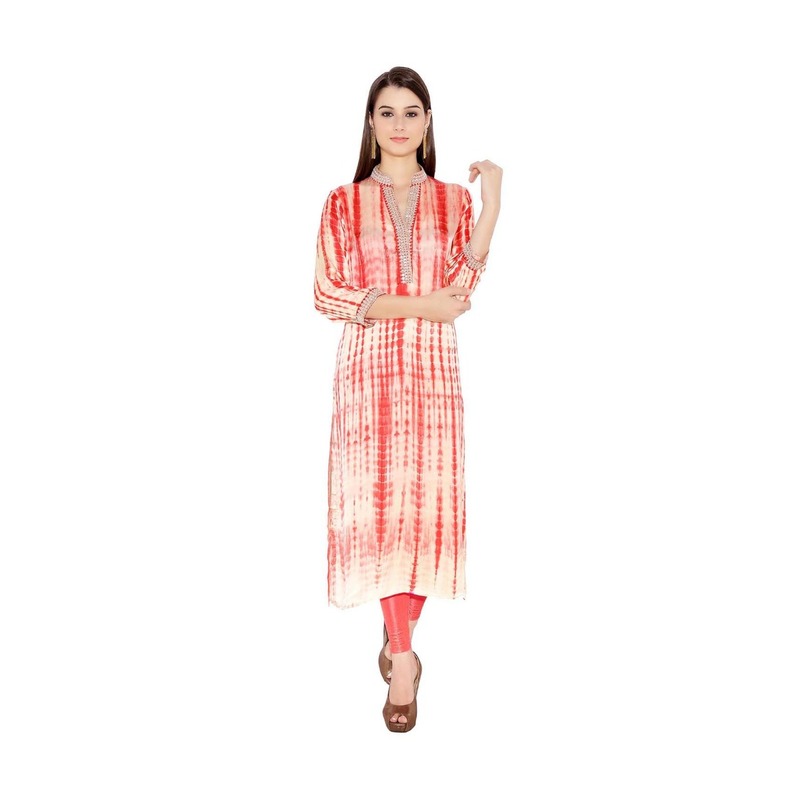 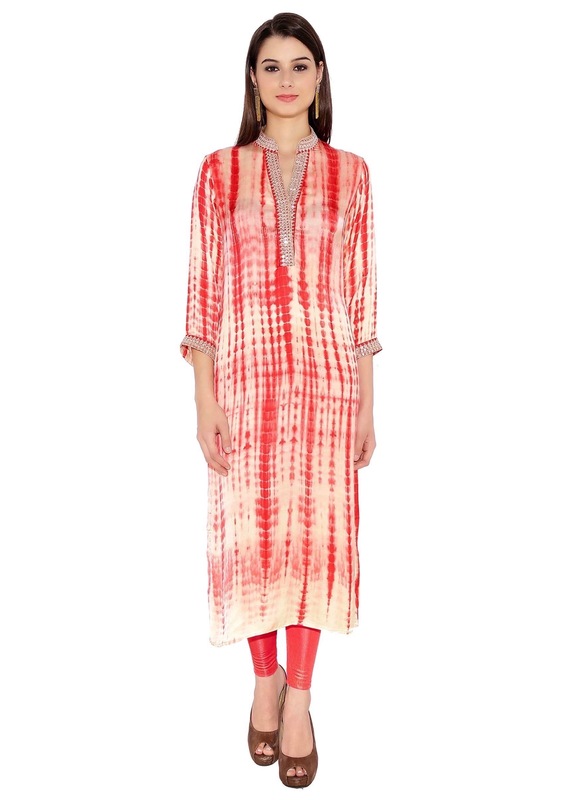 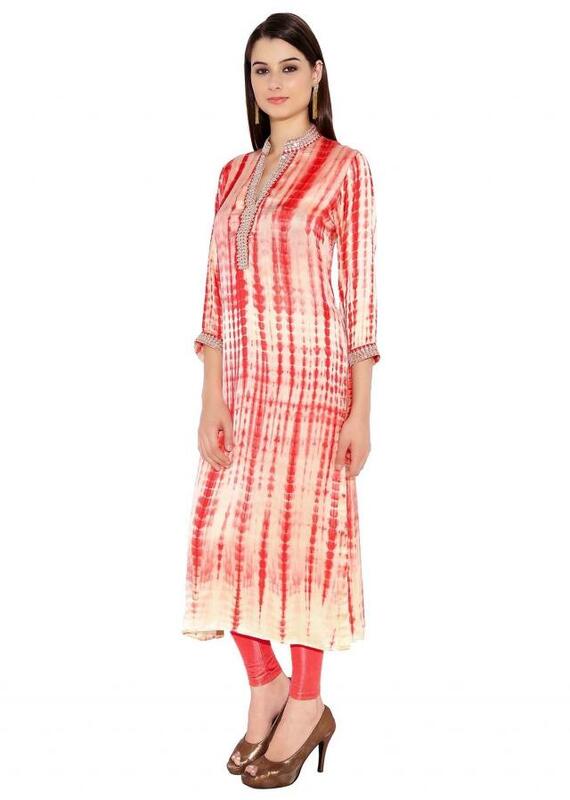 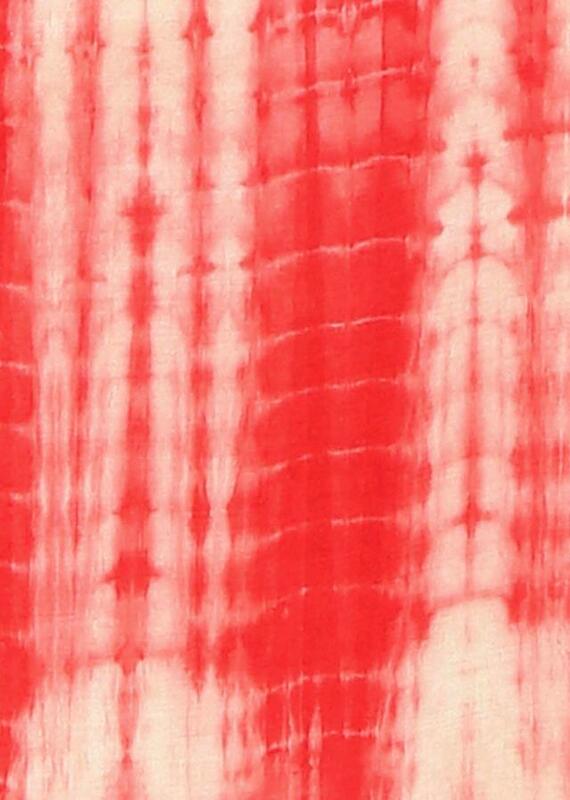 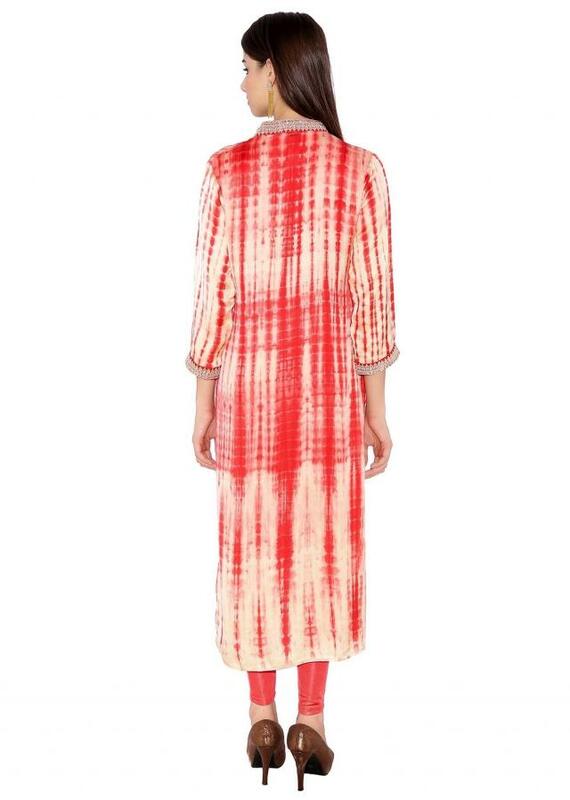 A tie-dye pattern never goes out of style and this simple yet elegant kurti proves it. The peppy color combination of white and orange, with a silver zari lined high collar and sleeves makes this kurti look really sophisticated. 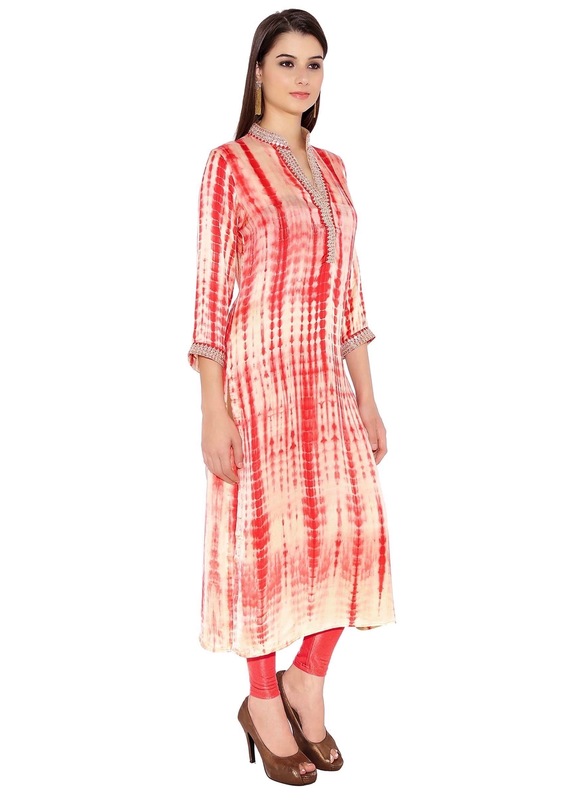 This could be styled to suit the work place dressing ethics or worn as a casual daytime outfit.